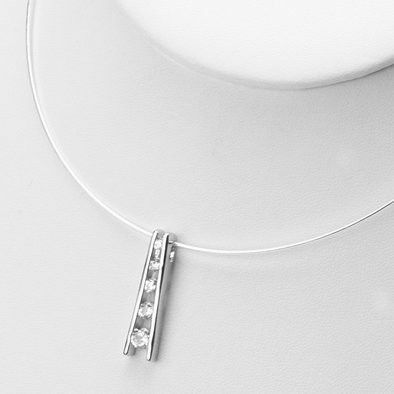 This lovely necklace features a sterling silver pendant which measures 1 3/16" long by 5/16". 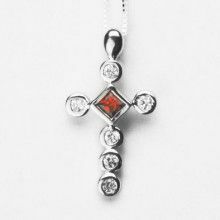 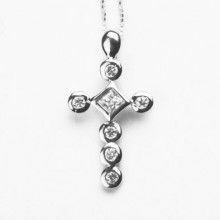 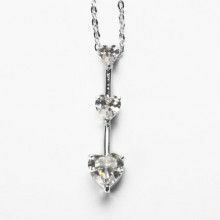 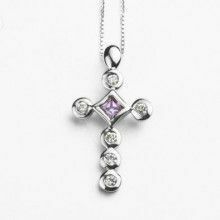 The pendant features an array of Austrian Crystals which range in size from 3/16" in diameter to 1/16" in diameter. 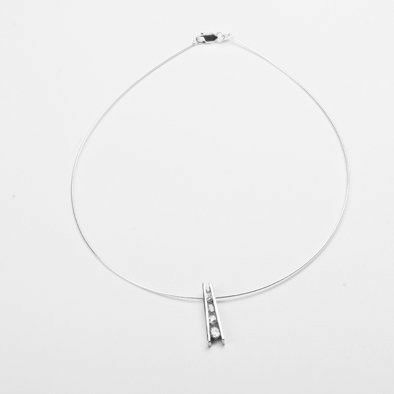 This necklace features a 16" sterling silver neck wire, and would make a very elegant and sophisticated compliment to any outfit! 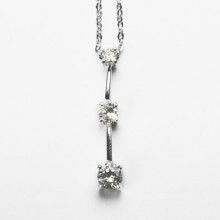 Pendant Measures: 1 3/16" x 5/16"
Crystals Range From: 1/16" to 3/16"